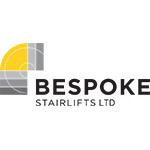 View our range of new stairlifts from the leading manufacturers. Two years warranty and FREE first service! Top quality reconditioned stairlifts supplied and fitted with 12 months full warranty. Next day installation! Straight Stairlifts to rent. No fixed contract from just £10 per week! All servicing and maintenance included! Our fully trained & qualified engineers can service your stairlift to ensure it stays in good working order from just £65! Your business, is our pleasure! Central Mobility gave us a very competitive quote and in due course the stairlift was installed. They have serviced it every year as promised since. We are so pleased to have bought our stairlift from Wayne and would not hesitate to recommend him to anyone requiring mobility aids. Our best wishes. When my father was diagnosed with COPD we contacted Central Mobility to rent a straight Stairlift. They came out the next day and installed it with no mess or fuss. My father was able to be at home with his family when it mattered most. I would highly recommend them to anyone. My mum was looking for a straight Stairlift but was put off by the overall cost to buy one and the pushy salesman trying to sell it. I made a call to Central Mobility and they suggested their rental scheme. For less than £10 per week my mum has a modern Stairlift with no bills to worry about. I have dealt with Central Mobility for the last ten years and have always found them very helpful and thorough. I would recommend them without hesitation to anyone needing a Stairlift with good aftersales service. Fill in the form below and we'll send you our monthly newsletter with new models and special offers!